Build up your nutrition with a GMP protein-based powder without all the calories or volume! 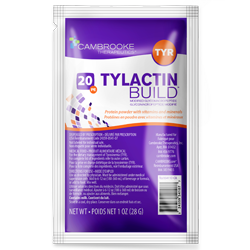 Tylactin BUILD 20 is a versatile powdered medical food for TYR available for those on a low tyrosine and phenylalanine diet who are seeking more protein, fewer calories, and less volume. 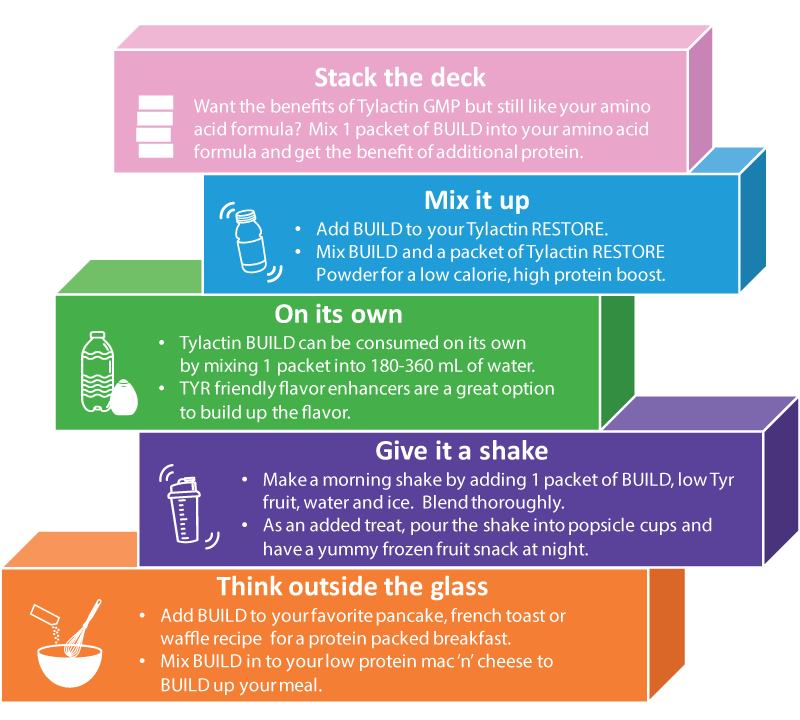 Includes a complete profile of vitamins and minerals and is neutral in flavour to be taken alone or as a way to build up the protein level of other TYR formulas or low protein food items. Click on image to download the PDF document.